Satellite Radio, iPod/MP3 Input, Onboard Communications System, Aluminum Wheels. Chevrolet LT w/1LT with Victory Red exterior and Jet Black/Sport Red interior features a 4 Cylinder Engine with 138 HP at 4900 RPM*. ALL-STAR EDITION includes (UQA) Pioneer premium 9-speaker system and (CF5) power sunroof. TRANSMISSION, 6-SPEED AUTOMATIC, ELECTRONICALLY CONTROLLED WITH OVERDRIVE, RS PACKAGE includes rocker moldings, unique front and rear fascias, Sport Body Kit, (T43) rear spoiler and uplevel jeweled instrument panel cluster with chrome trim rings (uplevel cluster is standard on LTZ) (Also includes (T3U) front fog lamps. ), 1LT/1XF DRIVER CONVENIENCE PACKAGE includes (ADS) driver 6-way power seat adjuster with manual recliner and (UD7) Rear Park Assist, AUDIO SYSTEM AM/FM stereo with CD player and MP3 playback capability, graphical display, ENGINE, ECOTEC TURBO 1.4L VARIABLE VALVE TIMING DOHC 4-CYLINDER SEQUENTIAL MFI, TURBO with water cooled bearings (138 hp [102.9 kW] @ 4900 rpm, 148 lb-ft of torque [199.8 N-m] @ 1850 rpm), REMOTE VEHICLE STARTER SYSTEM. Non-Smoker vehicle. Edmunds.com explains "Chevrolet finally has a quality small car in the form of the 2012 Cruze.". 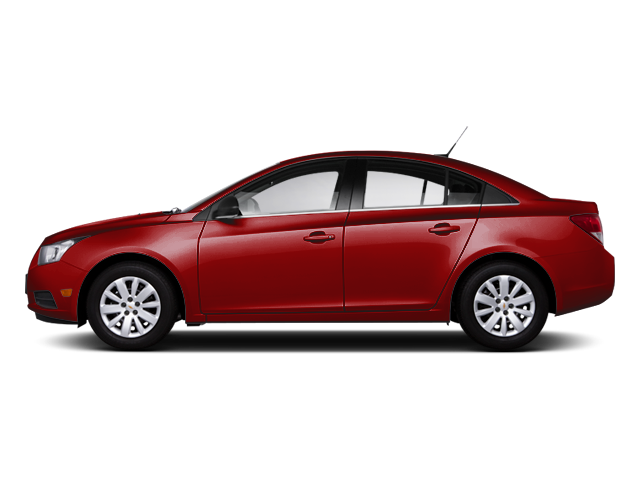 Hello, I would like more information about the 2012 Chevrolet Cruze, stock# P1440. Hello, I would like to see more pictures of the 2012 Chevrolet Cruze, stock# P1440.